This site is all about time. Time frames and time lines. Memories of the past and dreams of the future. The times of our lives ! 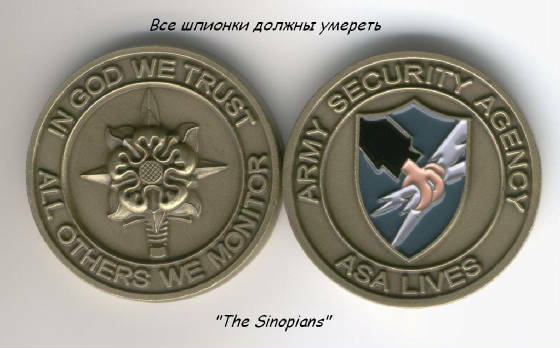 This site was designed by Rodger Jones and was launched in August of 2009, for the benefit of all former members of the Army Security Agency, but especially for a core group of ASA members with whom I served at TUSLOG Det 4, Sinop, Turkey, in 1968. That intrepid group of DLIWC graduates consists of Jim Bryson, Bill Cowan, Chester Dryke, Ron Hoke, Bob Nimmerfroh and your host, Rodger Jones. Эти мужчины высоко обучались радио-техники. Их миссия была к перехватите российские радио-коммуникации в области Черного моря. This is a very High Tech web site. The Home page is readable by anyone who chances upon this site. All other pages, excepting the Voice Print Identification Page, are Password Protected. Gaining full access to this secure site is not a difficult process, but involves four security eschelons, each of which is digitally encrypted. Review the written instructions and the voice prompts common to the Voice Print Identification page, for detail about how to apply for full admission to this site. This site contains intense content and is best viewed using a high speed DSL internet connection. Furthermore, each page of this web site is heavilly Audio Enhanced. Ensure that your computer is audio activated, since otherwise, you will not be able to hear the music associated with each page. This site recognizes the "Jim Bryson Finished Project" theorem. In essence, that theorem states that nothing worthwhile should ever be finished. I hope this project is never finished, but evolves. This site will be updated frequently, to change graphics or music or when a significant event suggests an update is needed. I need your assistance in developing this interactive site and I would be very receptive to any news or content that you might submit. Since this is my first attempt to build a web site, I would appreciate all comments and suggestions about the site and any improvements you may recommend. STAY TUNED for further development ! This site was designed by Rodger Jones in August 2009. It is dedicated to all members of the Army Security Agency, but especially focuses on those with whom I served, at TUSLOG Det 4, Sinop, Turkey, in 1968: The Sinopian Six. The Sinopian Six consists of Jim Bryson, Bill Cowan, Chester Dryke, Ron Hoke, Bob Nimmerfroh and Rodger Jones. This is a very High Tech web site. The Home page is readable by anyone who chances upon this site. All other pages, with the exception of the Voice Print Identification page, are Password Protected. Gaining full access to this secure site is not a dificult process, but does require formal application. The process involves several security eschelons, each of which is digitally encrypted. Refer to the Voice Print Idnetification Page, for further detail. This site contains intense content and is best viewed using a high speed DSL internet connection. Furthermore, each page of this web site is heavilly Audio Enhanced. Ensure that your computer is audio ativated, otherwise you will not be able to hear these enhancements. Furthermore, you should maximize your viewing screen, to take full advantage of the high definition graphics common to this site. This site does recognize the obscure "Jim Bryson Theory" relative to finished projects. That theorem states that no worthwhile project should be finished. It is my hope that this web site will never be finished, but will continually be refined and evolve. I would appreciate your help in this endeaver. This site will be updated periodically for no particular reason and whenever a significant event suggests an update is needed. Please feel free to contact me relative to any comments and suggestions you may have. Stay tuned for further developments !